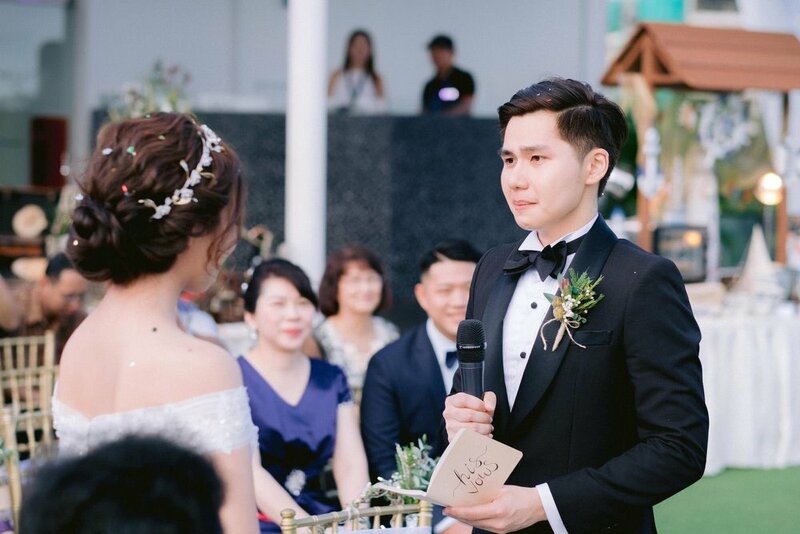 Freida & Winson / Skygarden at Sentosa - Singapore / So much emotions running high at this stunning venue with an epic view of the waters around Sentosa. We had met up with this wonderful couple a few times before the wedding, and each time, we just loved how they truly showed that they cared for each other in such a deep way. And so when their big day finally came, there was an outpouring of emotions throughout the day that we just felt so appreciative to be a part of.